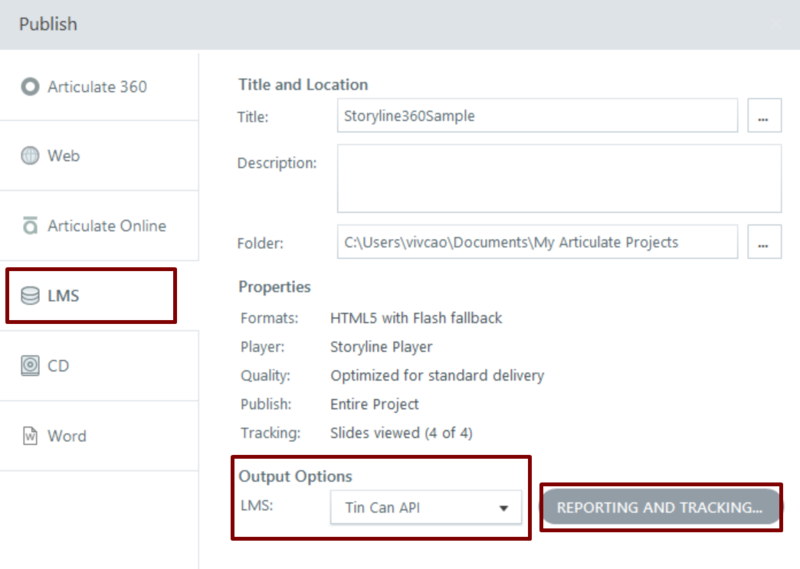 This guide covers publishing Articulate Storyline content as xAPI / Tin Can packages. Please take particular note of Step 4. If you are interested in reporting in an LRS please see your LRS provider for best practices for setting up your Storyline content for LRS reporting. 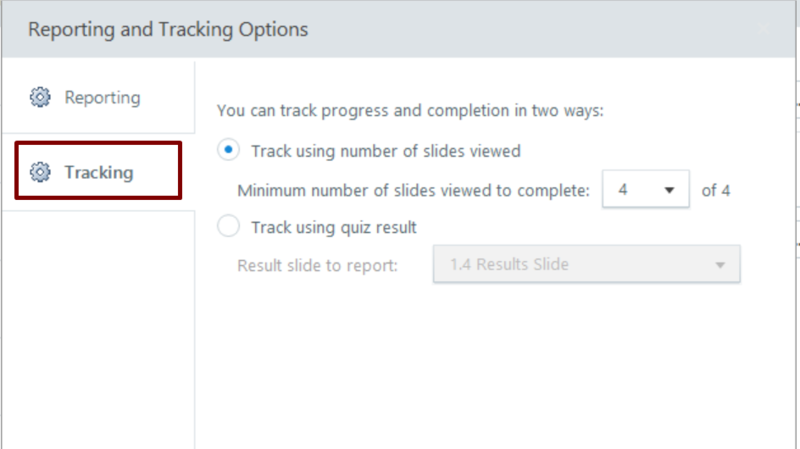 Step 2: Click LMS in the side menu. Under Output Options select Tin Can API (Tin Can API is the former name for xAPI). Step 4: In the Reporting tab. Edit the Title and Description as you wish. Identifier is important if you want to do in depth analysis in an LRS. If you are not at the stage of connecting an LRS it is still worthwhile to keep this value unique. <software_tool> : the name of the software tool you're using, in this case "storyline"
It is a good practice to keep track of your identifiers so you don't accidentally reuse them for separate courses. Also note that if you re-publish your content and change the identifier, an LRS will treat the content as two different courses. So don't change your identifier when you re-publish, unless you want this effect. Launch URL leave this as the default (usually "story.html"). Only change this value if you've been advised to, or if you know the effects. Step 5: Click on Tracking in side menu. Select the completion method that suits you. 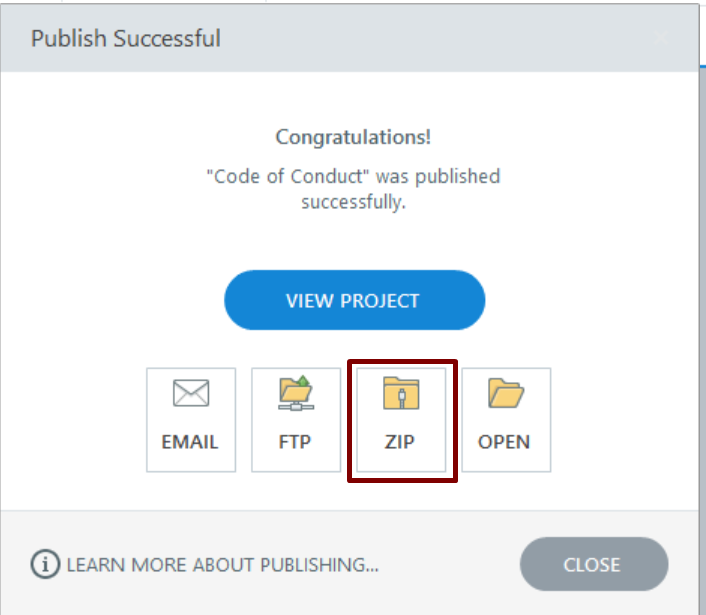 Step 6: Click OK and then Publish. Once generated, choose ZIP. 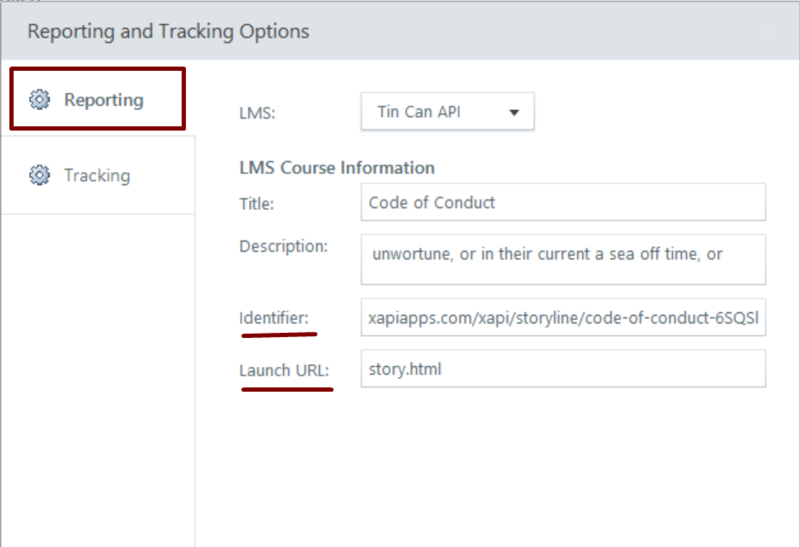 You have published an xAPI / Tin Can package from Storyline!